Private search engine? What is that? Private search engine is, well, search engine. 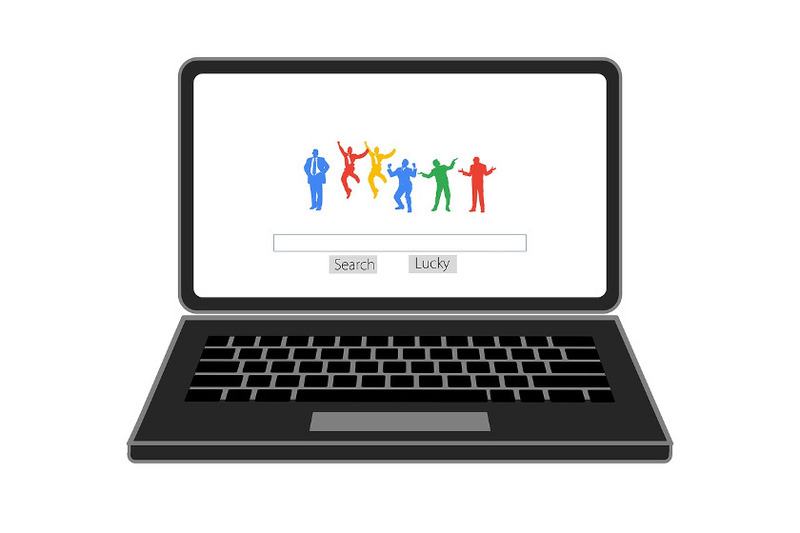 So, what’s the difference to regular search engine?. Regular search engines like Google and Bing will be tracking your search behavior. For instance, they will record the search queries you entered on the search box. Some search engines also track your location for a certain reason. The estuary of all this is commonly for advertisement. Search engines need to learn your search behavior to provide the most relevant possible of ads. Not all people feel comfortable with the way regular search engines track their search behavior so they decided to look for an alternative of private search engine that doesn’t track them. Lucky for you, there are plenty of private search engines in the internet jungle. And, if you are looking for them, check out one of the list below. 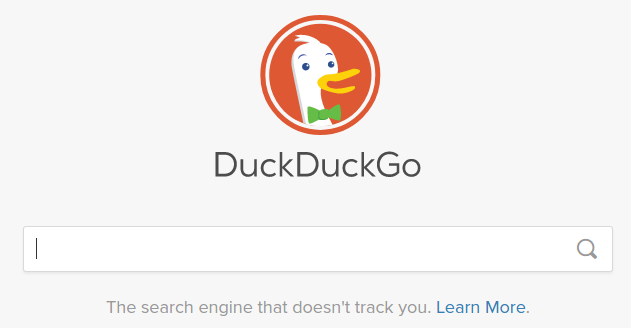 DuckDuckGo introduces itself as search engine that doesn’t track you. It is probably the most well-known private search engine. DuckDuckGo was launched in 2008 and is now serving over 10 millions queries each day. DuckDuckGo promises to not store your personal info. They won’t also haunt you like regular search engines did. The DuckDuckGo services include three aspects from web, images and videos. DuckDuckGo has communities scattered around the world. The search engine is available in many different languages. It also comes with a customizable interface. If you love the way DuckDuckGo works, you can also set it as the default search engine your web browser, whether Firefox or Google Chrome. Just like most search engine, Yippy also has a very simple interface with search box placed in the middle of your screen. Every time you search for something with this search engine, there will be two columns you see. The right column displays the search results while the left one displays more detailed categories of your query in which you can use to filter the search results. Yippy allows you to view the cached page (the page you have visited before) and have a preview of them but it doesn’t track your search behavior. And also, it doesn’t display any ads. Unless you search for famous scientists like Albert Einstein, you will see no result when you search for something on WolframAlpha. This is a knowledge-based search engine. You can use this private search engine to search something like a scientist bio (in a better structure), math formulas and so on. You won’t completely free from ads but don’t worry about your search behavior. This search engine won’t track it. WolframAlpha will be a great choice for students and other academic communities. Privatelee may has no much features and options. But, it’s reliable enough if you need a private search engine to search for something on the internet without having to worry about your personal information. This search engine won’t also track your search behavior for advertisement needs. This search engine features PowerSearch that lets you get straight from your search bar to your search destination. You can getting most out of this feature to find your favorite movies, YouTube videos and lots more. StartPage claims itself as the most private search engine in the world. StartPage itself is powerful enough. This private search engine has some similarities to DuckDuckGo. To give you the best possible result, StartPage combines the powerful search results of Google with the strong privacy features of Ixquick. To protect your privacy, StartPage will remove all of the identifying information from your query. StartPage won’t also record anything regarding your searching activities. Whether it is your IP, cookies. Nothing. To makes it easy in using this search engine, in case you love, you can also set it as the default search engine on major web browsers like Google Chrome and Firefox. Lukol is basically uses Google to deliver search results. But, it works by utilizing a proxy server and will give customized search results from Google using its enhanced custom search. Because you are searching the web via proxy, your personal information remains private. In Lukol, you can search for four things from web, images, videos to news. Open source fans will surely love this. Gigablast is an open source search engine which mean you can also make a development of it in case you want to build your own search engine. Who knows. This search engine is also relatively save enough from a data spy. Gigablast features an advanced search for a more specific search results. Oscobo seems want to be an alternative to Google. You will see a similar search results page interface between this search engine and Google. The front page of Oscobo is also quite simple as Google. The only difference is that Oscobo was designed specifically to protect you from the prying eyes of both large corporations and anyone trying to get access to your private information. This private search engine promises to not store your personal information and will never ask you to provide it. Same as Gigablast, MetaGer is also an open source search engine. This private search engine is run by a German non-profit organization. To hide your personal information, MetaGer also integrates a proxy server to allow you open a certain link from the results page anonymously. This search engine is available in 4 different languages, other than German. Last but not least. Hulbee is also a nice search engine if you want to protect your personal information while searching for something on the web. This private search engine won’t track anything regarding your search activities. It also won’t keep any data of yours. Hulbee is run by a Switzerland based company. In addition to web, you can also search such things as images, video to music using this search engine without having to worry about the abuse usage of you information. In order to get the most relevant search results, Hulbee also lets you to set a specific region. Great list! – I (off course) need to add https://www.findx.com to the list – Open Source independent private search engine from Europe. Disclaimer: I’m a part of the team behind it. Do you know anything about SearchEncrypt.com?